HOTELS M.A.offers the widest range of hotels in Granada, with over 800 rooms spread over 5 ,4 and 3 stars places , and a 40 years experience in the tourism sector. 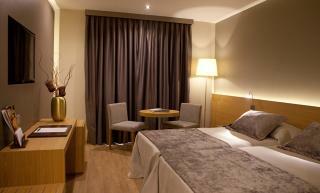 All our hotels are known for their quality, adapted to the needs of our customers. Gastronomy with a particularly careful, with excellent reputations in banquets. The strategic location of our hotels, offers also the possibility to enjoy the city of Granada, with convenient access at all entrances and exits of the city and access peatonalmente to the main shopping areas and monuments. We are proud to offer the best and most complete range of hotels of our city, one of the cultural and business destinations most consolidated in Spain, with a single partner via our Central Reservation. We await you in Granada.